To most people, Alpa is probably an unknown brand, because it's a brand from the Czech Republic which is normally not sold outside the country. In the Czech Republic Alpa is considered to be quite a big brand with a wide range of aftershaves. The Alpa 378 Aftershave Lotion is one of the most popular aftershaves from the Czech Republic, and that is partly because of the smell which resembles Irish Moos, and it offers a great value for your money. The Alpa 378 Aftershave Lotion comes in a small glass bottle containing 50ml, and this bottle is very convenient for taking with you during travel. Furthermore, the small bottle looks really retro and on the front is written ''Voda po holeni'' which literally means aftershave water. Also you can find a manufacturing date on the small bottle, which I think is a good thing. I find it usually interesting to take a look through the ingredients, so that I can get an impression what function certain ingredients are used for. 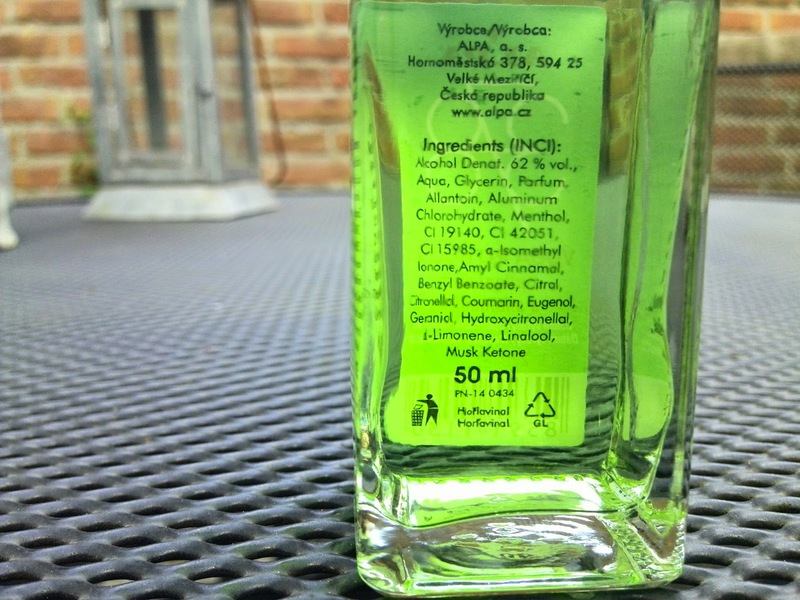 To start this aftershave contains 62% alcohol. Furthermore this aftershave contains ingredients like Aluminum chlorohydrate and Allantoin which are being used because of their antiseptic and wound healing properties. You can also find Aluminum chlorohydrate in deodorant, which is similar to alum. It also contains glycerin which is used because of its moisturizing properties, and Allantoin also contains moisturizing properties. This aftershave also contains menthol, which provides a cooling effect to the skin. Almost all the other ingredients on the list are fragrance substances. The Alpa 378 Aftershave Lotion is my introduction to aftershave lotions, if not counting the Axe Dark Temptation Aftershave Lotion. Personally I find the performance of this aftershave quite good, but its a total different experience then aftershave balms which I'm used to. The aftershave doesn't sting much at all, and I will only feel it sting when I would have had a bad shave. Almost immediately after applying the aftershave I can feel the cooling effect from the menthol kicking in, which feels really cold to the face. I estimate that the cooling effect from the menthol last about 15 minutes and fades away then. I personally really love the scent from this aftershave, and I find it smells very manly fresh, and I can confirm the scent is similar to Irish Moos, but I find that the Alpa 378 smells more pleasant than the Irish Moos. The scent lasts for about three to four hours, but already fades away after one or two hours. Furthermore I find that this aftershave doesn't dry my skin out, but it's in no way as moisturizing as an aftershave balm but perfect for the hot summer. The Alpa 378 Aftershave is for sale in the Czech Republic for 20CZK ( $ 1,00 ) at the Teta Drugstore and Carrefour Hypermarket. Sadly outside the Czech Republic this aftershave is not being sold, and only sometimes certain vendors like Pomade-shop.eu have a small stock. The Alpa 378 Aftershave Lotion offers a amazing value for your money, and also smells really great. I find the small bottle really useful, because I can easily carry this aftershave with me when traveling. 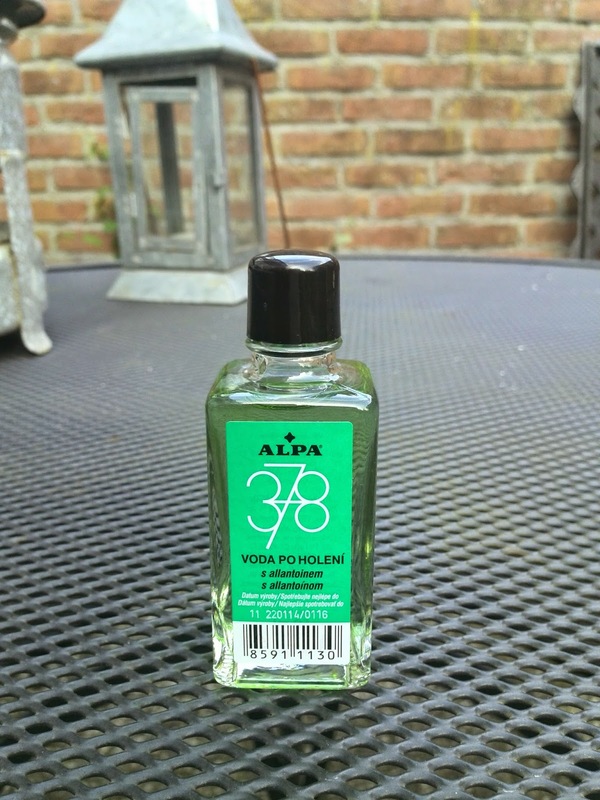 The only downside is that the Alpa 378 Aftershave Lotion is hard to get outside Czech Republic, but this makes this product special like a souvenir you would buy on holiday. Thank you for your review. Actually there are more "retro" aftershave lotions made in the Czech republic - Alpa Windsor, Pitralon, Olimon, Adam, Diplomat. They all are rather cheap, but of course they work. They have only a small market share - our market is unsurprisingly dominated with the global brands like Old Spice, Gillette or Nivea. I'm not sure if Alpa 378 smells "great"... let's say it smells like nothing else. The menthol smell is very strong and it feels like a lotion of your grandfather which is very nice. But I would not use it before going to bus, before meeting with my boss or my wife. And other cheap brands like Balea or Isana doesn't have the "classic retro effect".